In every instance, subrogation arising from wildfires and other multi-party catastrophes is complex. From their inception, these losses demand the coordinated substantial time and effort from teams of top-notch sophisticated lawyers and support staff with the extensive experience needed to manage, organize, investigate, litigate, and prevail in these hard-fought cases. 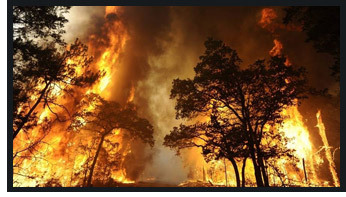 BLWM’s attorneys deploy well-honed investigative skills and in-depth knowledge toward wildfire and catastrophic loss subrogation. For more information about BLWM’s wildfire and catastrophe subrogation practice, please contact Mark Bauman, Scott Loewe, Ed Witt, or Ken Maxwell.